The Macedonia Soccer club was formed in 1958 as a means of bringing together the Macedonian Community through the medium of Soccer and became initially known as East Pert Macedonia. Eventually in 1967 the club was dissolved in rather controversial Circumstances. In 1969 the Macedonian Community decided to give the financial backing and support required to resurrect the Macedonian Soccer Club. The club successfully applied and joined the Amateur Competition in 1970. The Club was then known as Macedonia United (playing as West Perth Macedonia). The Club had mixed success through the Seventies with both some highs and low ending with promotion to the First Division (the states highest league) in 1979. 1980 saw the Macedonian Soccer club enter the big league. Having achieved it goal of playing First Division Soccer, 1980 was also the year that saw the Macedonian Community invest heavily in the future of the Macedonian Soccer Club and more importantly the future of the Macedonian Community. Following a number of years of debate, and given the strength of the Macedonian Soccer Club and its support both on and off the field, the Macedonian Community of WA entered into the project to be known as Macedonia Park by purchasing the first parcel of land to build a new soccer stadium. This was an ambitious undertaking of enormous magnitude by the community and is fitting memorial to all those who so willingly gave their time and expertise. The project would take a number of years to complete. The Club were State League Champions in 1983, the clubs first at the highest level in only it’s fourth year in the league. But this was only the beginning. The club were Sate League Champions again in 1984 and 1985. The Macedonian Soccer Club enjoyed huge success through the 1980’s as it rewrote soccer’s record books and became a force in WA soccer. It was compounded by the opening of Macedonia Park in 1986 which left the Community with great pride and a huge sense of achievement. 1986 was a huge year for the club as they moved to their new home ground at Macedonia Park in Balcatta (became known as Stirling Macedonia) and were chasing a record breaking fourth consecutive Premiership. Unfortunately it was not to be as the club came runners up in what was an exciting season. In 1987 the club rebounded and won the premiership again, its fourth in five seasons. 1986 was also the year the Club represented the Soccer Federation of Western Australia against Adelaide City in the NANDA Cup in front of a crowd of approximately 5,000 people in what was the first game to be played at Macedonia Park on the day the complex was officially opened, the 23rd March 1986. The Game ended in a 1 – 1 Draw with Adelaide City winning the game in a 6 -5 Penalty Shootout. More success was to follow in the nineties with back to back State Premier League Championships in 1994 and 1995 and runners up in 1990, 1992 and 1996. 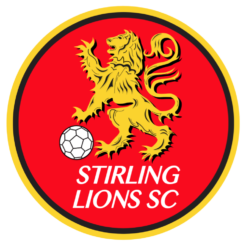 In 1999 the Club changed its name to the Stirling Lions Soccer Club, a move which has allowed the club to embrace the whole Stirling District. This is the name by which the Club is still known today. With the new century came a new approach with the focus on the development of junior players and more silverware with the Club winning back to back Cup campaigns in 2006 and 2007 followed by another win in 2010. Over the years the club has also won a numerous Top Four/Five Cup, D’orsogna Cup and Pre Season Night campaigns. The cabinet is full of silverware. 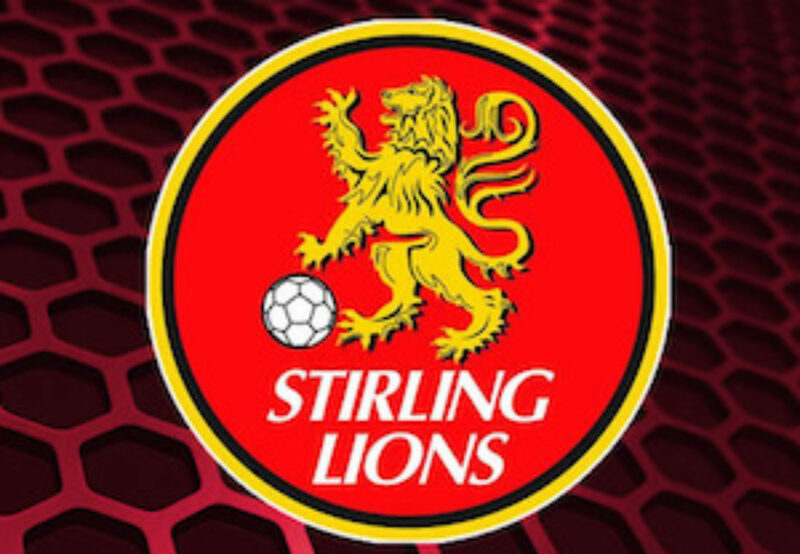 Today, as always, the Club has as strong focus on the development of local talent and has been very successful with a number of talented players that have worn the red and yellow for the Stirling Lions Soccer Club going on to represent the State, play in the National League and play for Australia. A number of players have also gone on to have very successful careers at an international level. This is the greatest challenge that club is faced with today. To develop and produce the best possible players, for their introduction to the big time.